Casa Almendro is a spacious two story Spanish Colonial home located within the Reserva del Golf residential community at Hacienda Pinilla. 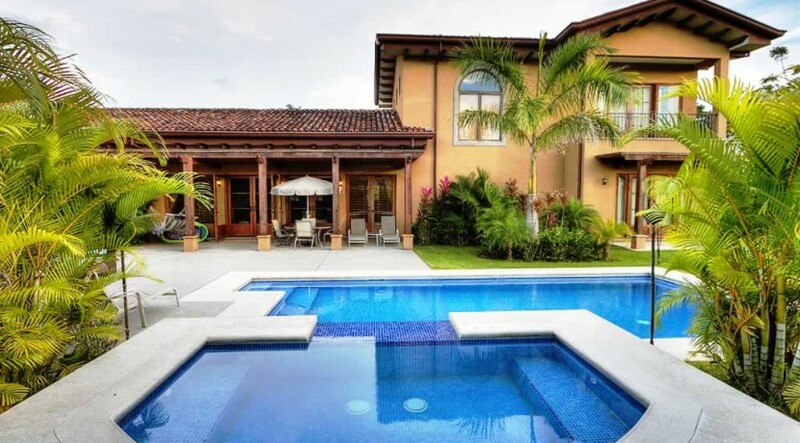 With its spacious and modern interior it’s a perfect location to relax, swim in the pool, surf at the beach, play some golf or just hangout at the Rancho and tropical gardens Casa Almendro has an open floor plan, a beautiful salt-water pool and outdoor tropical garden. 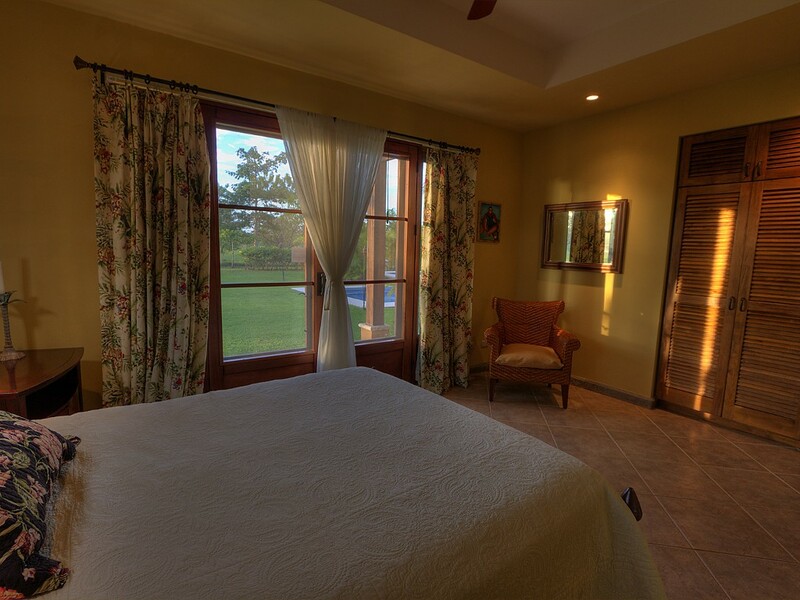 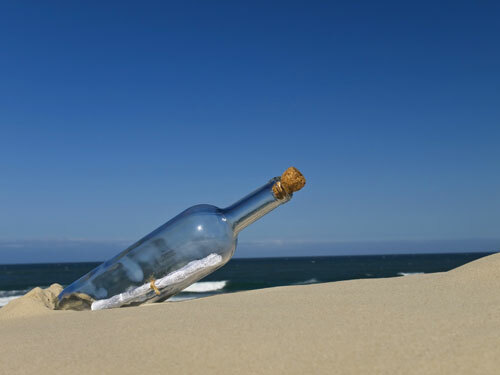 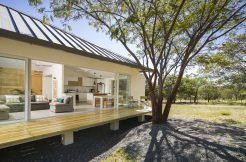 All rooms have custom wooden screened doors and windows offering the experience of tropical breezes and sounds of nature, or air conditioning for cooler comfort. 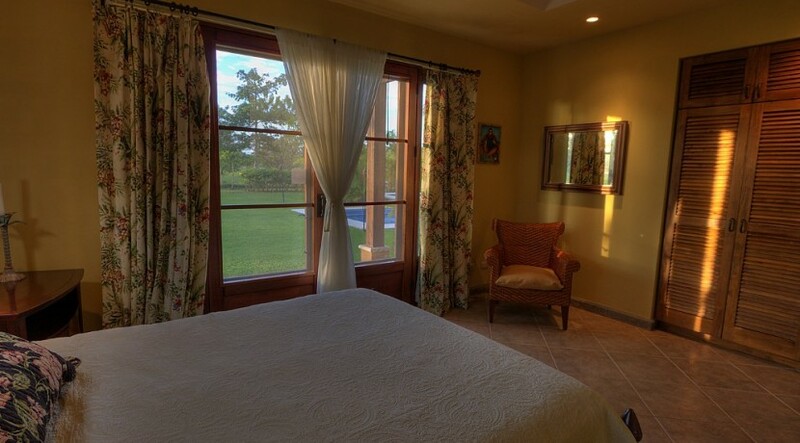 The home has a large rancho completely furnished for outdoor living and dining.The master bedroom is very spacious with it’s own balcony and it’s own bathroom with a large jacuzzi tub. 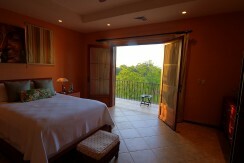 Each of the 2 additional bedrooms are spacious in size w/queen beds with a shared bathroom. 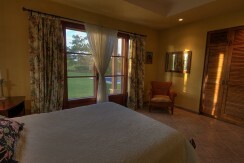 The upstairs reading room has a futon sofa with a superior queen size mattress. 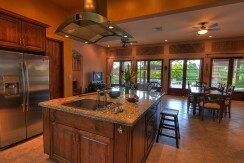 The home has a water filtration and water softener system. 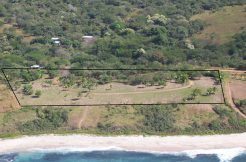 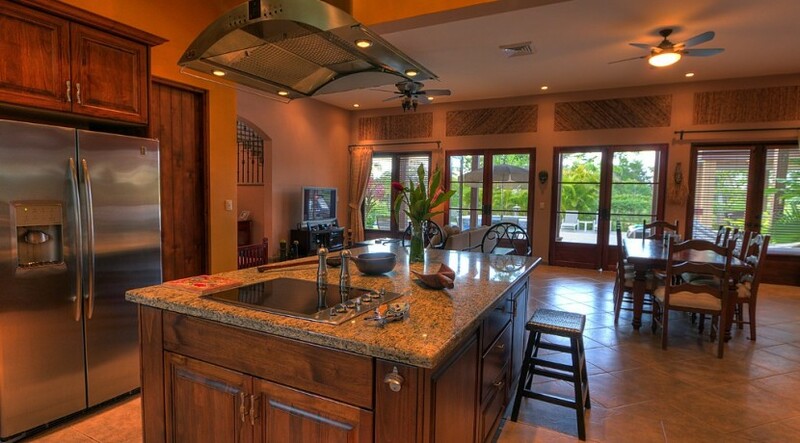 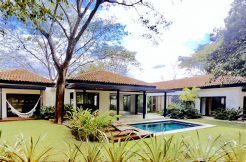 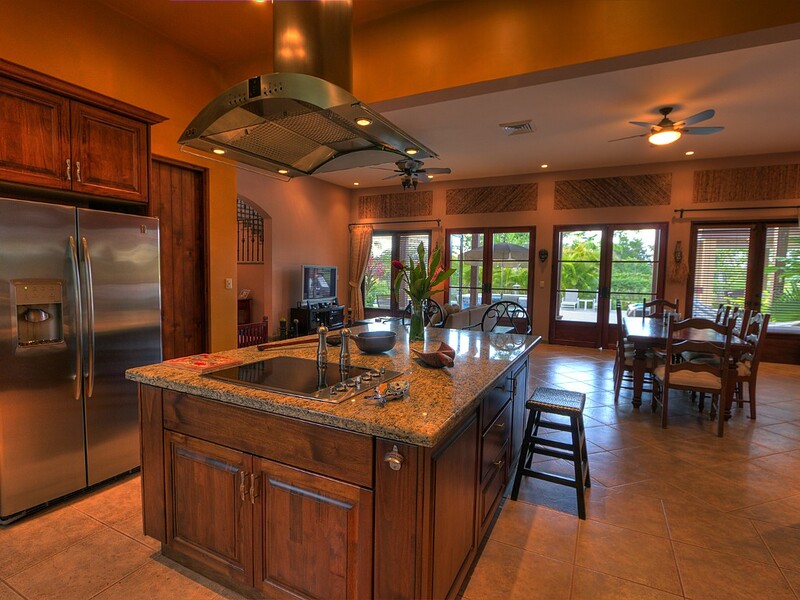 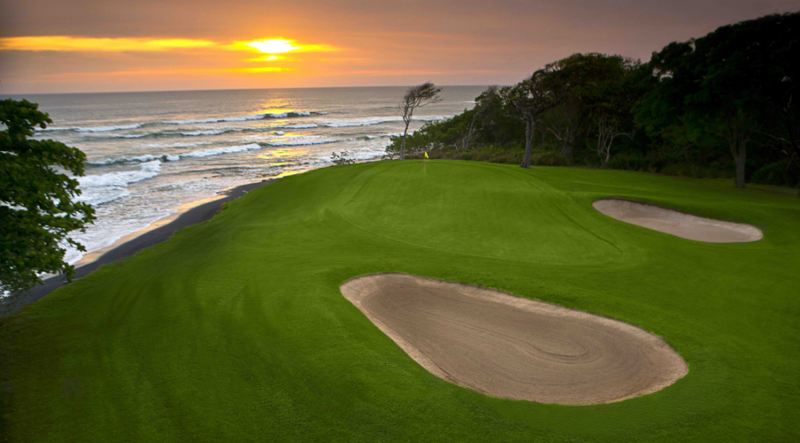 This gated community is part of the sprawling 4500 acres of the Hacienda Pinilla resort and boasts 3 miles of pristine beaches, including 2 of the best surf spots in Central America, Playa Avellanas,(Little Hawaii), and Playa Langosta. 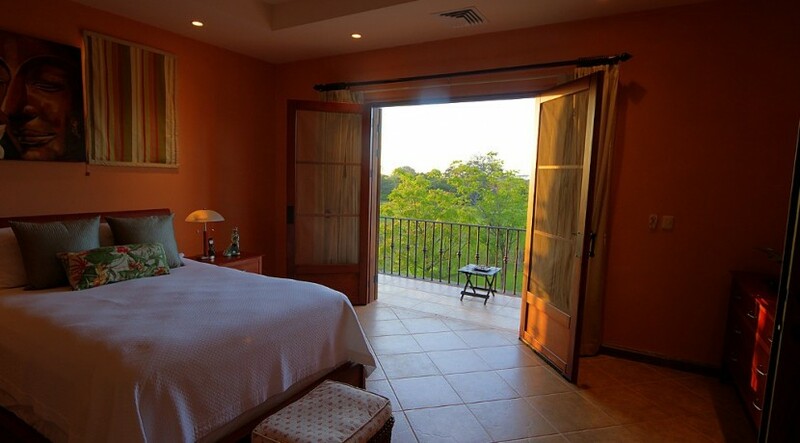 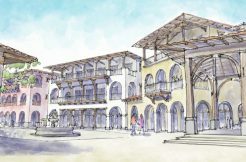 The property includes the JW Marriott Hotel and the Hotel Posada. 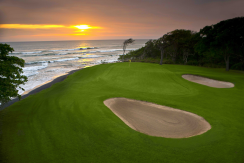 With a variety of activities you can enjoy the championship, 18 hole, par 72 Mike Young designed golf course where players will never feel rushed or crowded. 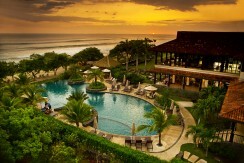 Stop by the JW Marriott to eat at one of their many restaurants or take advantage of their spa treatments. 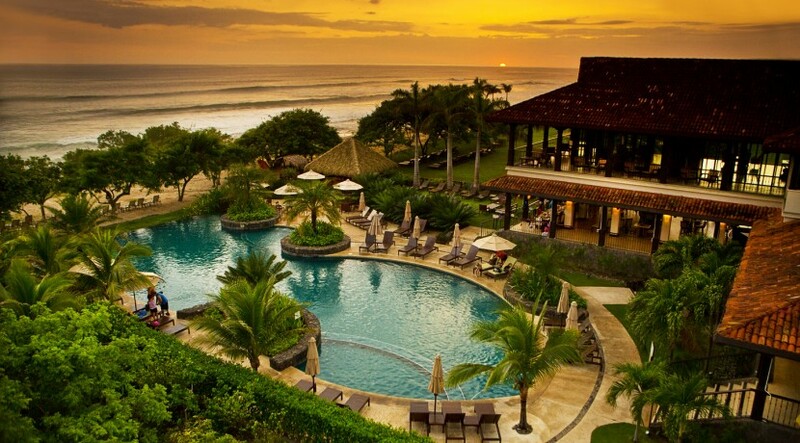 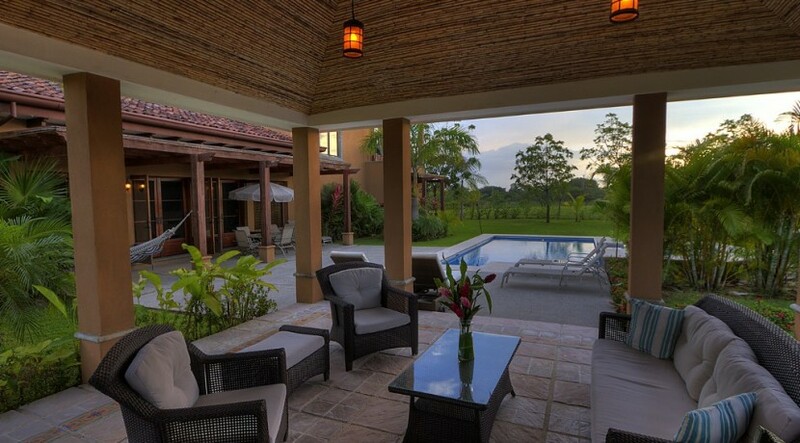 The Hacienda Pinilla Beach Club and Spa offers a peaceful luxurious hangout with a spa and restaurants. 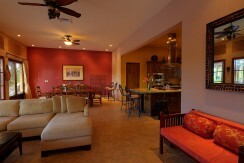 The Posada Hotel offers additional dining at reasonable prices. 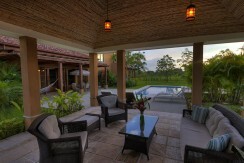 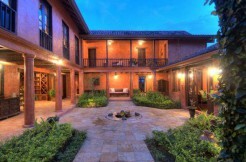 The property also includes stables for horse back riding, tennis and fitness center, as well as walking and bike trails. 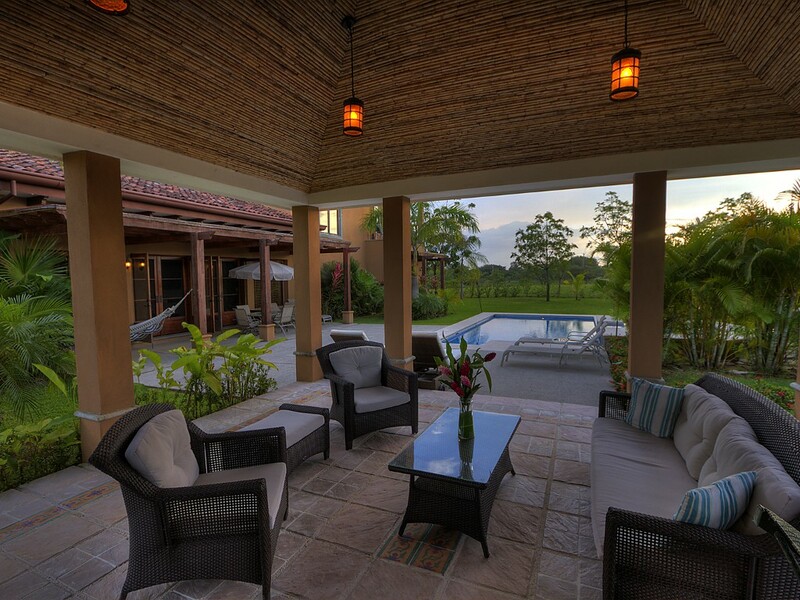 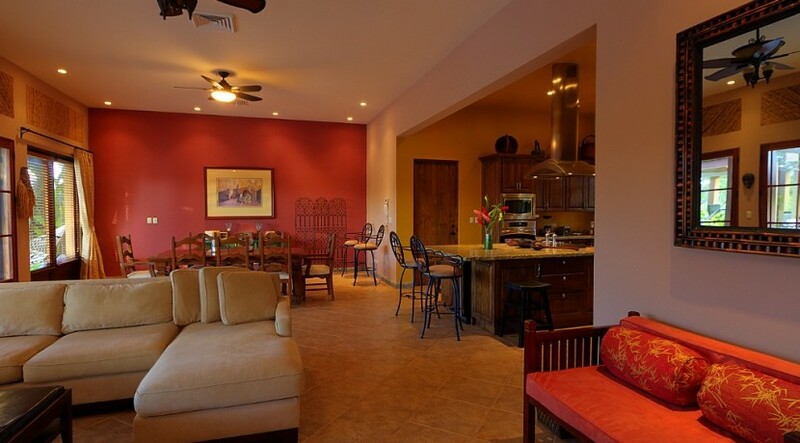 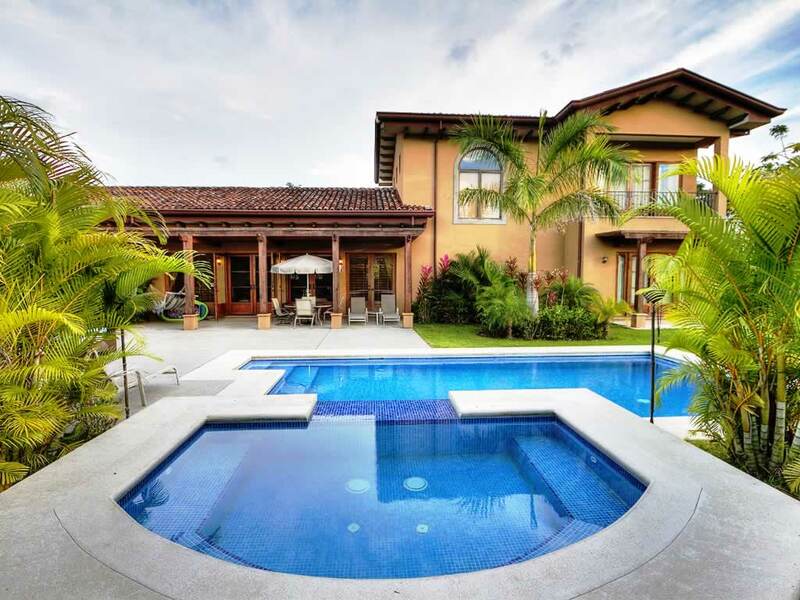 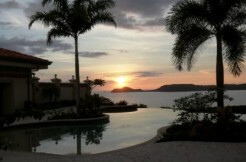 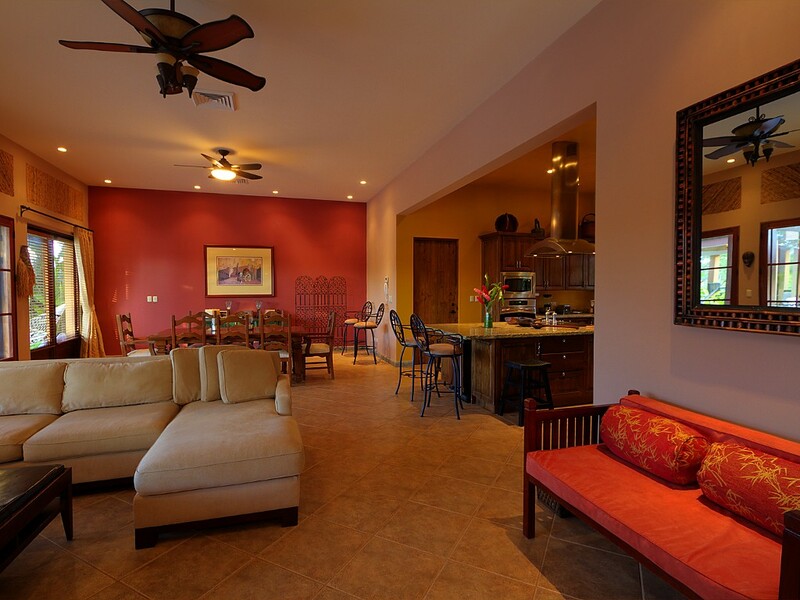 Please contact us to schedule a showing of this fabulous home in Hacienda Pinilla!